Old gardens are extra special. 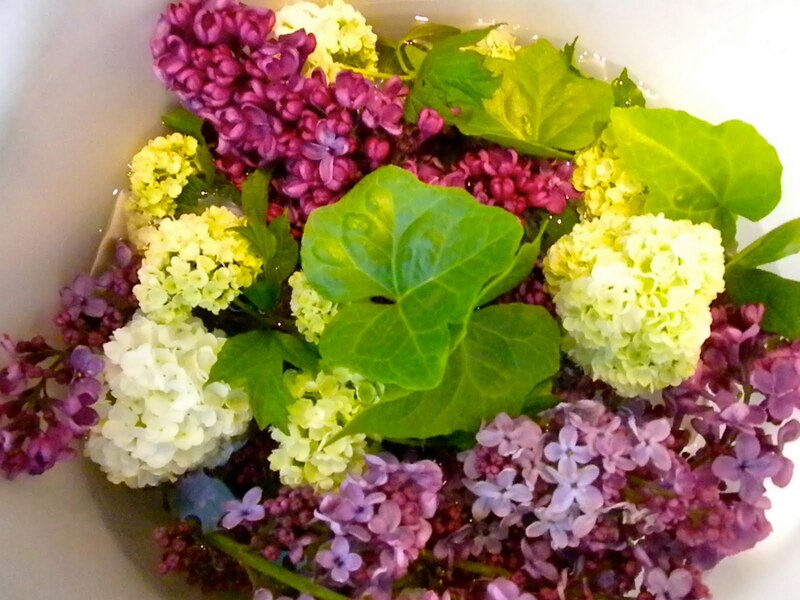 Today I went with a friend to her mother’s garden which was abundant with Lilacs and Snowballs. It is not the fact that her mother is older than us that made the garden glorious, but the fact that the garden is mature. 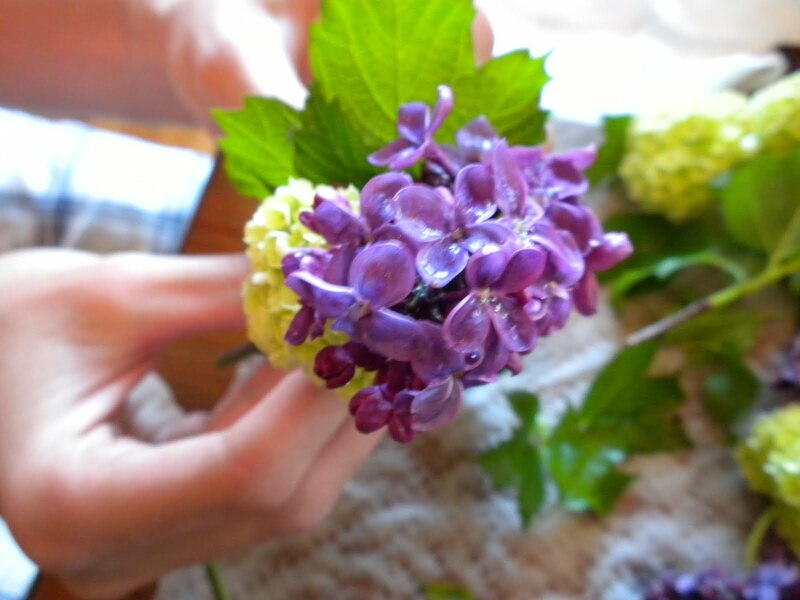 What a treat to have to climb a ladder to fetch these beautiful Lilacs. We have a special project in mind for these flowers, soon they will become a wrist corsage for his Prom date. This week Dillon and I went to the store to purchase crystals for Kayla’s corsage. We used elastic cord and made a three strand bracelet—two of the stands were tight so they would hold the flowers to her wrist. 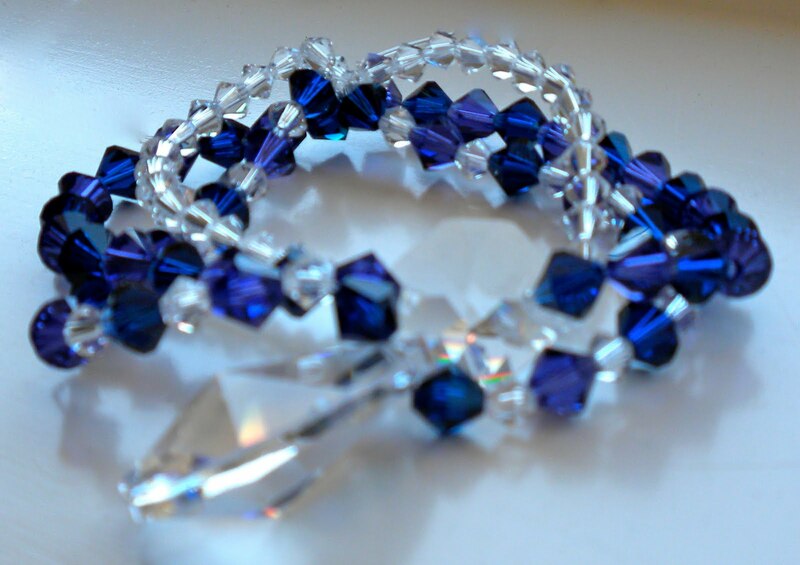 Above is the bracelet we designed. It has one large teardrop crystal at the bottom. Dillon wrapping the flower stems with florist tape. Lilacs and Snowballs. 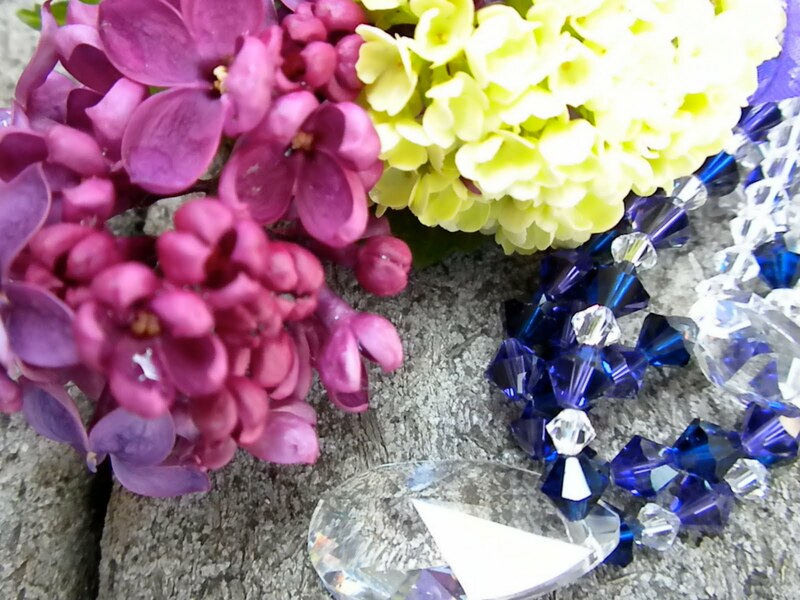 The flowers were attached to the crystals with florist tape. Kayla wearing the corsage. For me, part of having a creative home is sharing with my children. The time I spent with Dillon working on this bracelet corsage will be forever in my mind. Flowers are my favorite inspiration throughout the year. I loose track of time when I am in the garden. Every flower, to me, is like a intricate painting from God—a glorious creation, right in front of me. What a wonderful way to enjoy flowers, by sharing them with Kayla. How can I NOT get excited? Happy May Day! This entry was posted in design, flowers. art, Garden, graphic design, International Fake Journal, mother, pass it on, teaching, Uncategorized, watercolor, woman. Bookmark the permalink. Yay, and Dillon will never forget it either! Memories!Love ya Holly! 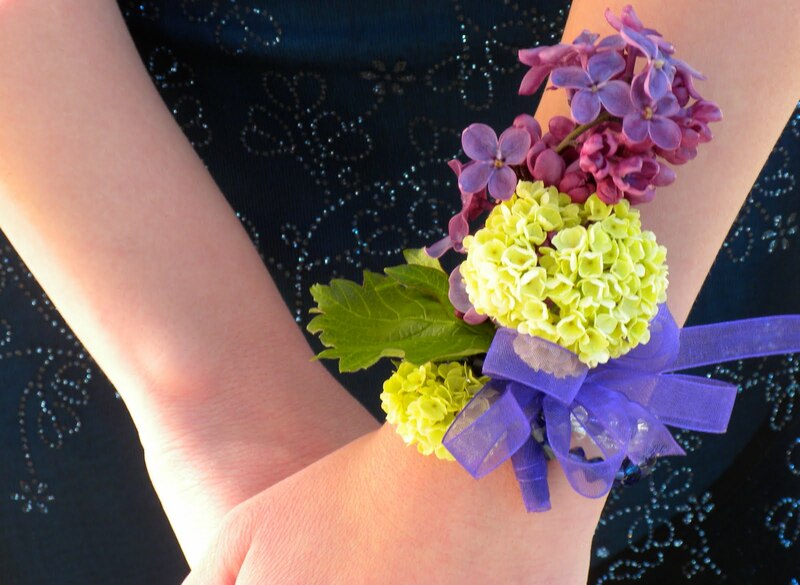 I love the handmade corsage. What a sweet, personal touch!